I would absolutely love to be wrapped in a warming towel, with hot stones resting along my spine for some real relaxation. 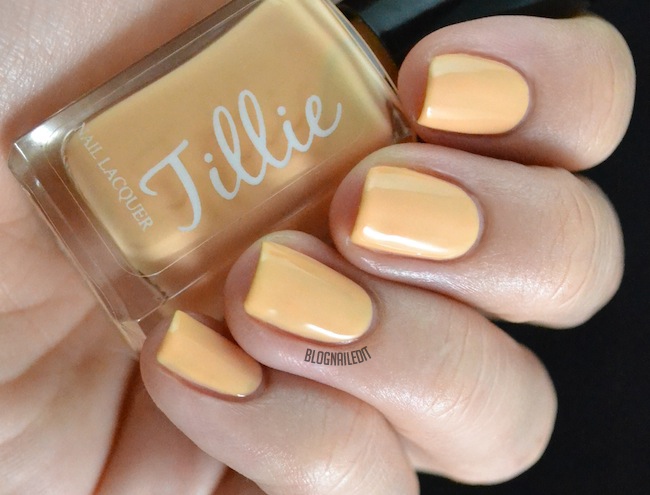 Until I install a spa in my house, I'll have to settle for second best...a Tillie polish! 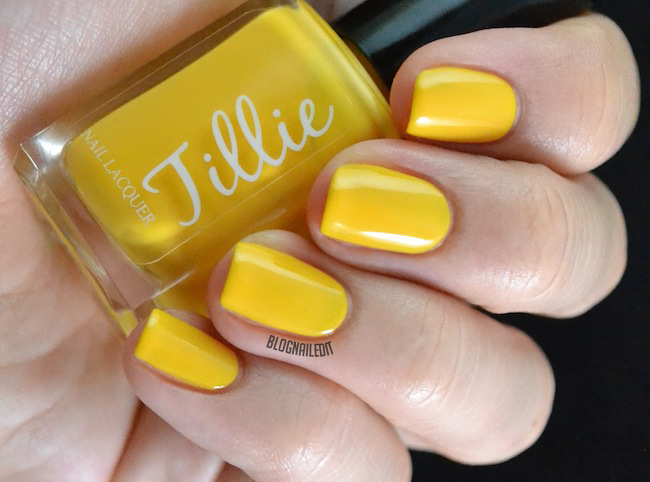 Tillie Polish is the brain child of a three sister team. Together, Andrea, Alexa and Amber (whose parents are a big fan of assonance) dream up collections of cruelty-free opaque polishes to be worn by lacquer lovers. The lovely A's sent me three polishes to review and share with you all, including Hot Stone Massage. Hot Stone Massage, shown here in 2 coats, is a grey putty color. It's tinted barely blue. Show Some Skin needs three to four coats for this opacity. The creamy peach is pleasantly pastel. Last but not least is Summer Nights City Lights. This warm creamy yellow is perfect. I captured another look of it on Instagram a while back. 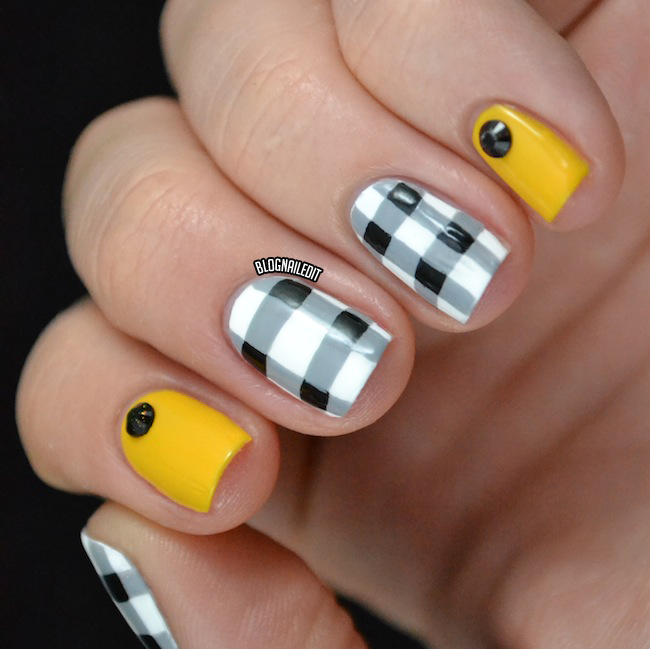 The colors seemed kind of preppy to me (which isn't a bad thing), so I did a faux plaid look with two of them. Pictures taken on different days...hence the sudden nail length change. Thanks to the ladies of Tillie for the samples to review! You can pick up your own bottle of Tillie for $8 from their online store. This week, they're also holding a host of giveaways that you can enter for great goodies. Find out more! These products were sent to me by Tillie Polish. The reviews are based entirely on my experience with the products and were in no way influenced by anyone. These colours are so pretty! And I love your nail art!